Take a break from the city and head to Dolphin & Whale Watching and Tromso Flexitour. Your cultural itinerary includes sights like Tromsø Cathedral and Tromsø Museum – Universitetsmuseet. Next up on the itinerary: explore the striking landscape at Tromso Fjords, kick back and relax at Telegrafbukta Beach, take your sightseeing to a higher altitude at Fjellheisen Tromso, and contemplate the waterfront views at Prestvannet Lake. You can plan Tromso trip in no time by asking Inspirock to help create your itinerary. Ubud, Indonesia to Tromso is an approximately 24-hour combination of taxi and flight. You can also do a combination of taxi, flight, and bus. Traveling from Ubud to Tromso, you'll gain 7 hours due to the time zone difference. In April, Tromso is much colder than Ubud - with highs of 3°C and lows of -2°C. Finish your sightseeing early on the 30th (Mon) to allow enough time to travel to Longyearbyen. A coal-mining town, Longyearbyen draws visitors interested in viewing the northern lights. On the 30th (Mon), get a dose of the wild on a nature and wildlife tour. Get ready for a full day of sightseeing on the 1st (Tue): identify plant and animal life at Wildlife Areas, see the interesting displays at Svalbard Museum, and then pause for some serene contemplation at Svalbard Kirke. For ratings, reviews, photos, and other tourist information, read our Longyearbyen journey planner . Traveling by flight from Tromso to Longyearbyen takes 4 hours. Traveling from Tromso in April, expect Longyearbyen to be slightly colder, temps between -7°C and -13°C. Wrap up your sightseeing on the 2nd (Wed) early enough to travel to Oslo. 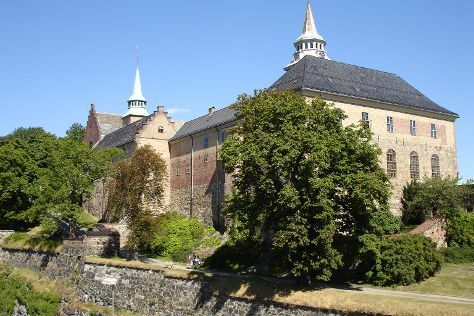 On the 2nd (Wed), contemplate the long history of Akershus Fortress. On your second day here, grab your bike and head to Bygdøy, then explore the world behind art at The Vigeland Museum / Vigeland Museum, and then examine the collection at The Nobel Peace Center. To find photos and other tourist information, read Oslo itinerary planner . You can fly from Longyearbyen to Oslo in 5.5 hours. Expect much hotter weather when traveling from Longyearbyen in May: highs in Oslo hover around 18°C, while lows dip to 4°C. Cap off your sightseeing on the 4th (Fri) early enough to travel back home.